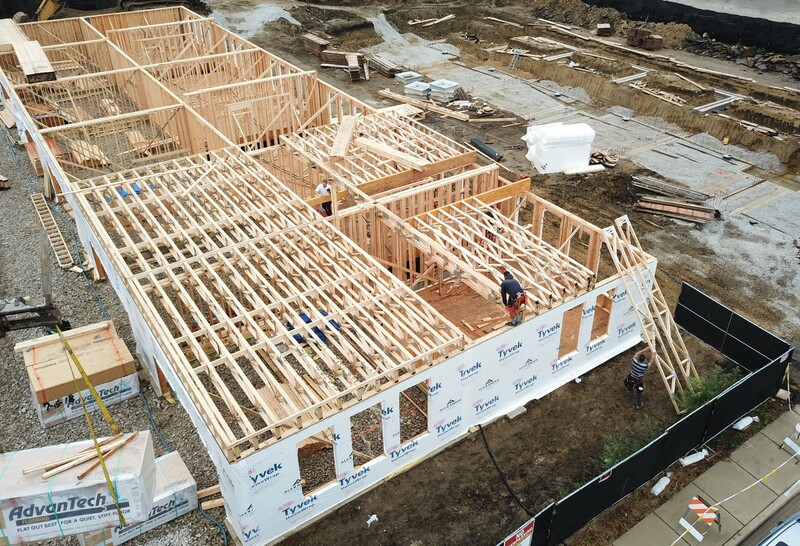 We’re excited to share the progress of the Park Terrace Row Home development in Mount Prospect., Illinois. 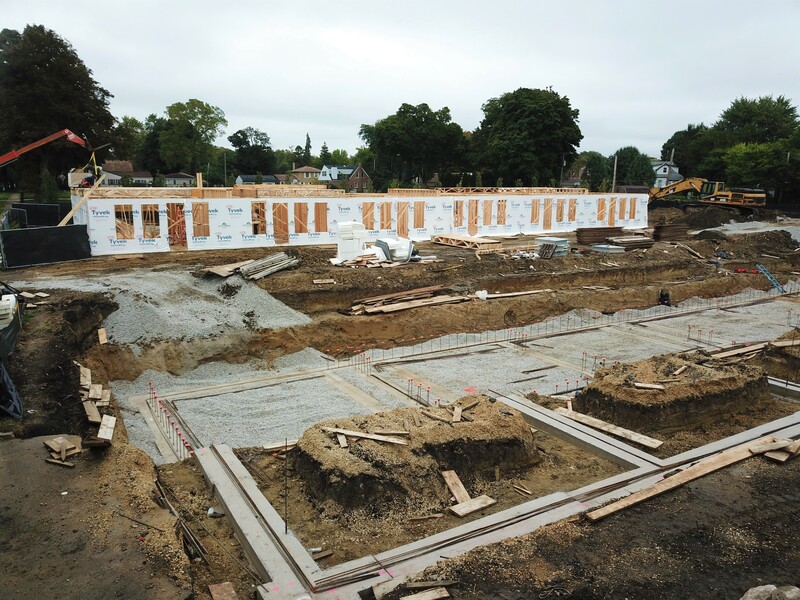 As you can see, framing of the 19 North Elmhurst Avenue building is underway. 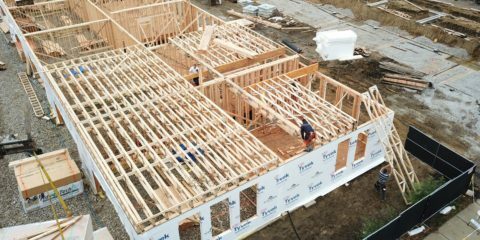 Framing includes the construction and installation of floor joists, subflooring, exterior walls, interior support wall frames and stairs, exterior door frames and doors, roof rafters, and trusses. 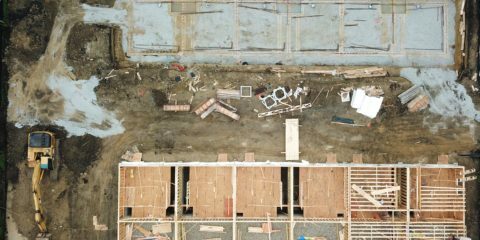 Framing will begin soon at 15 North Elmhurst Avenue, as the foundation there has been completed, and can also be seen in these drone photos. 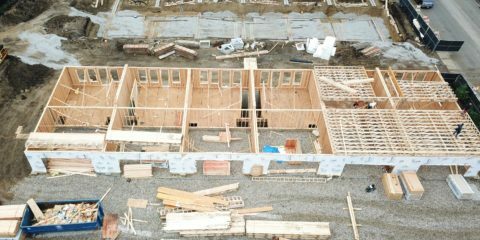 Half of the 12 available homes have already been RESERVED. 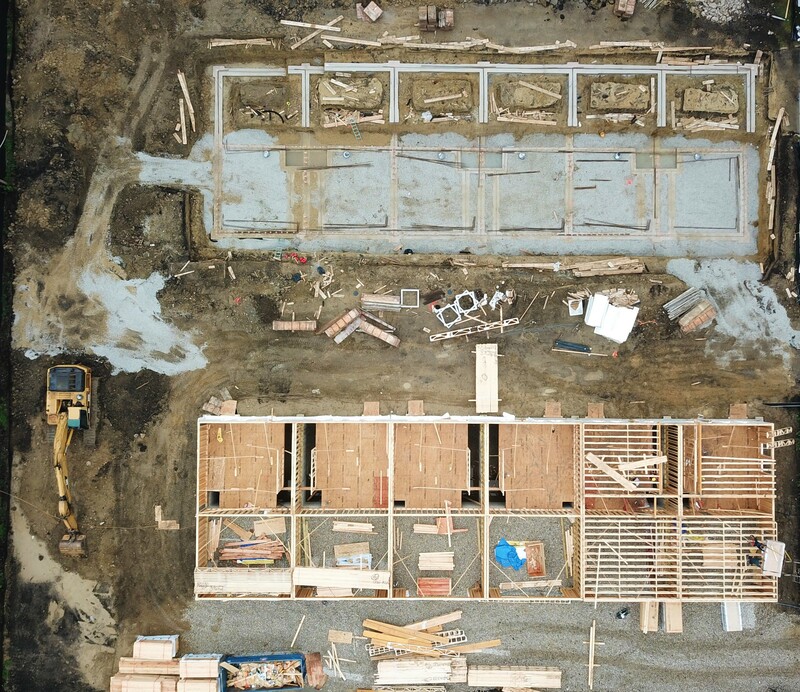 We wouldn’t want you to miss the opportunity to own one of these unique, urban-style, maintenance-free homes. 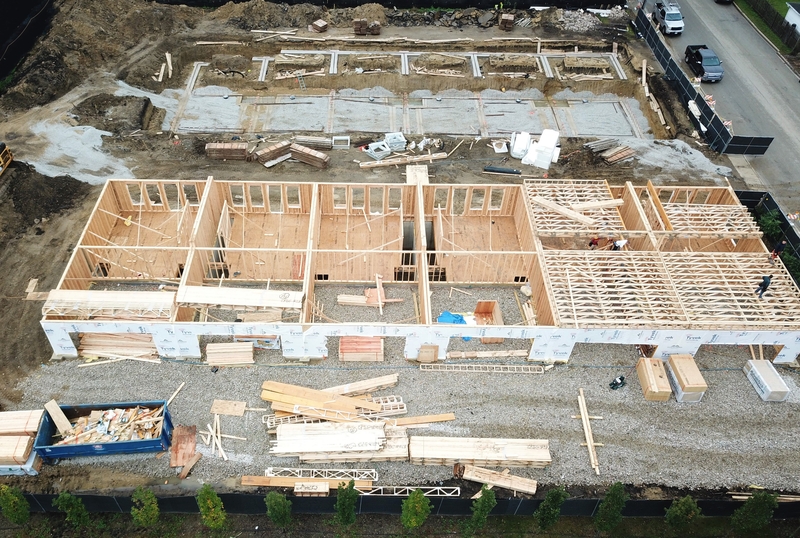 With only 6 homes remaining, now is the time to reserve yours, and customize your thoughtfully-designed floor plan. Please feel free to contact us, and remember to follow us on Facebook or Instagram and share our progress!